I'm a huge Doctor Who fan. So, I've got a few games and gadgets that I thoroughly enjoy from the modern Doctor Who incarnation. Okay, so I'm a Doctor Who fan. What respectable geek wouldn't combine their favourite device with their favourite hobbies? 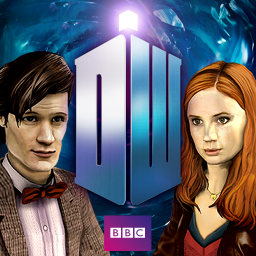 This is a fun BBC game based on the 11th doctor. A relatively new entry into The Doctor's arsenal is his Psychic Paper, which allows The Doctor to forge any form of identification he wishes. This app allows you to simulate some of those ID's, as well as a few others from pop culture. You can keep your silly Light Saber apps. I prefer the tool of a TimeLord, the Sonic Screwdriver!